Here is a CD Album Design I produced for a local band named “The Reeds”, a Christian-based 2-piece who produced music for the album “All in a days Musing”. Even though I produced this artwork a few years back, it’s one of my favourite CD designs I have produced, so I thought I’d feature it. Firstly, Scott and Karen (the Reeds) provided me with a detailed description of what they wanted, including a set of photographs of themselves to be utilised in the design. 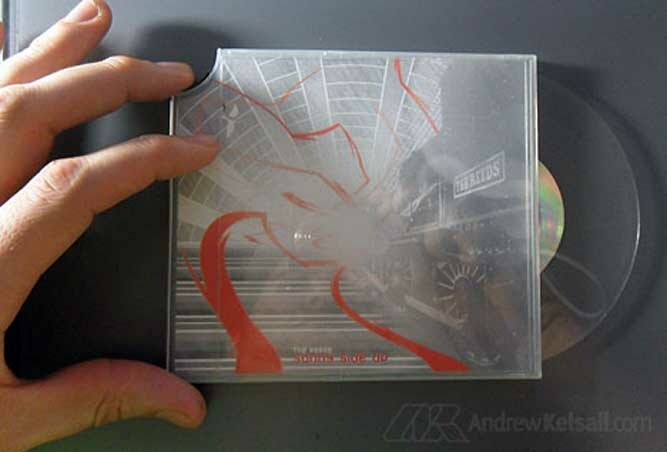 The design I produced was for a CD jewel case with black tray. The reverse printed colour and so was the face-up side of the 4-page inner booklet. 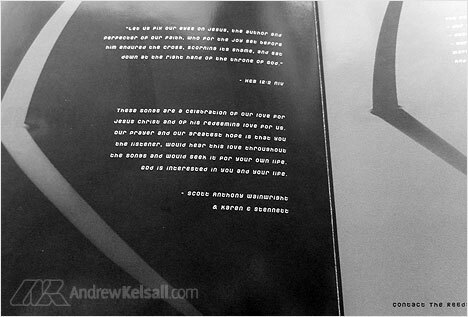 The inner booklet was black & white. I designed most of the CD cover in Adobe Illustrator®. I made the reeds-illustrations in vector format and tweaked them in Photoshop® before compiling the whole design set back in Illustrator® before exporting to PDF-X. 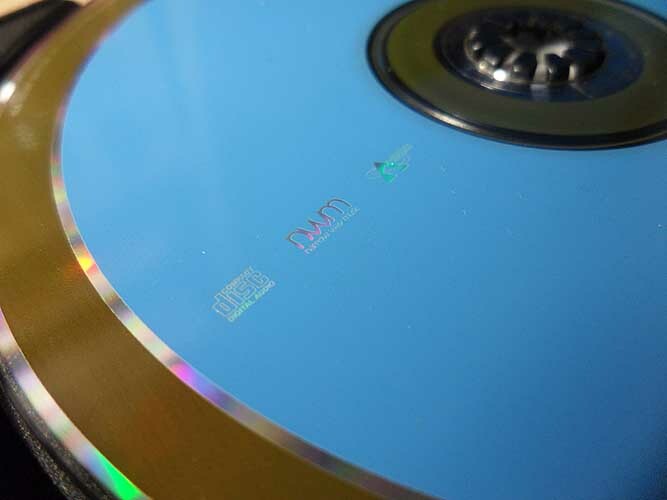 The CD print was comprised of two Pantone® colours, which I instructed the printers to print straight onto the CD face. This utilised the silver of the disc face as “a third colour” in a way, which maximised the simple yet attractive design. 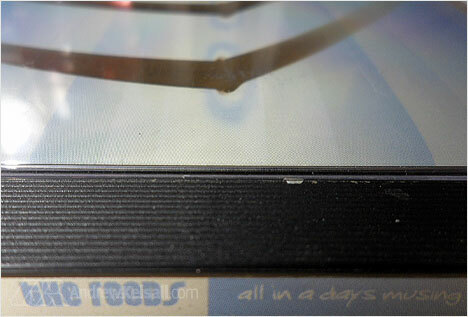 As can be seen in the above image, there isn’t a lot of space on the jewel case spine for the allocated text. My article on CD Design Tips (on point 7) address’s the issue of getting this critical text positioning right. 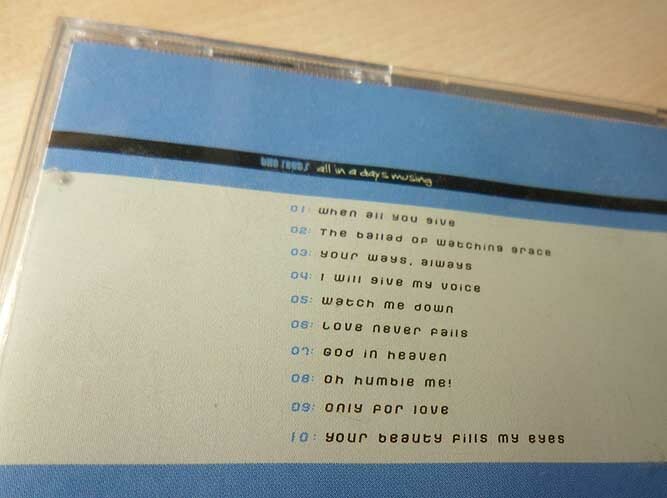 When designing a CD Sleeve, one great thing you can do is use an unusual, but appropriate font. Here, I used a readable yet original font on the CD back tray and throughout the design. As there is limited information, a non-standard font can be used in keeping with the style of design. Any questions? Please ask them below or leave a general comment. 3. Make critical decisions about the actual CD Sleeve design print; if the client requires 2 [ READ MORE ]. Some pretty impressive work Andrew. Congratulations on the final design – looks great. .-= Duane Kinsey´s last blog ..Selfish Self Promotion =-. .-= Scott Corgan´s last blog ..Test Post for You Man =-. Beautiful design. Couldn’t help but notice the list of song titles. Should be giving that album a look. I think the design looks great, especially the typography. What font did you use for the track listing? I like the band’s logo as well. Did you do that and if so which font was it based on? 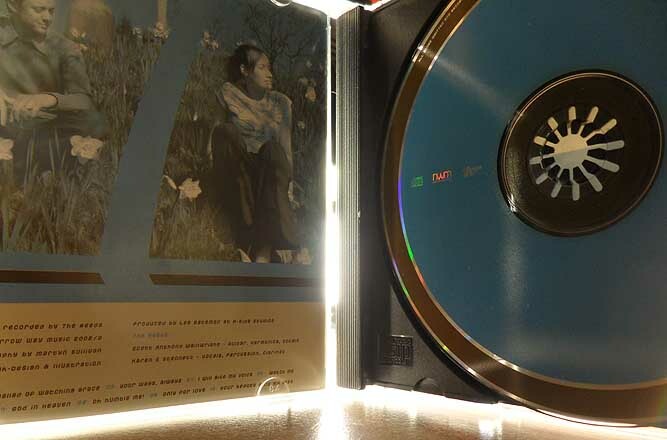 Using the silver to “shine through” the CD artwork is a great effect. Nice work! .-= Rob Cubbon´s last blog ..Essentials of great blog post design =-. Hi Andrew, nice job there. I work for a design agency who produce loads of CD covers. Most of them are commercial, TV advertised compilations, so the design considerations are quite different to what applies for local bands (i.e. huge, very readable title), but we still get the opportunity to be pretty creative. @Matt → Thanks. I’ve noticed how big the “Now” compilations texts are; they definitely get peoples attention in the stores! Yes, NOW is an interesting series. Not necessarily the coolest design, but it’s stood the test of time as a brand. I think it still far outsells every other compilation on the market when each new edition comes out. It’s all about brand recognition, which it has in spades. We don’t design the main NOW sleeves, but we do all the sub-brands, such as NOW Dance. It’s no trade secret 😉 We use Cinema 4D. What do the two curved objects represent. 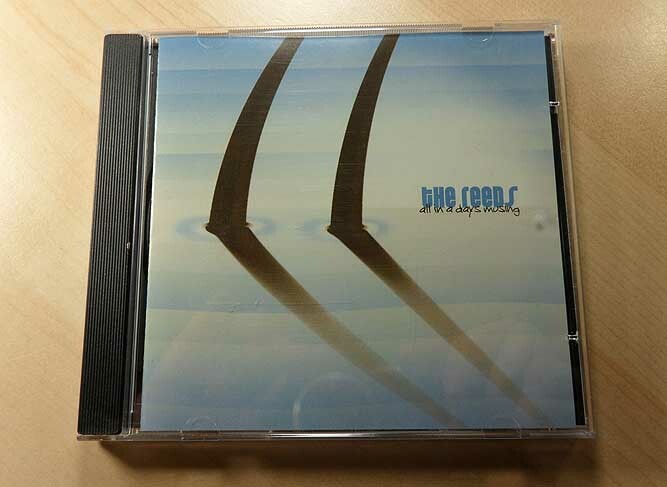 Two curved objects are reeds… Hence the band name. Nice retro kinda of feel to the reeds, illustrator/painted look.